While I have made it no secret that I am completely addicted to coffee, that doesn't necessarily mean that it is the only beverage to ever fill my mug. It's good to have a little bit of variety in your life, right? In warm weather, I might use my Keurig to brew up a tall glass of lemonade or a tasty flavored ice tea. But when the temperatures drop, I often want to turn to K-cups that will provide warmth and flavor, resulting in a tasty indulgence created at the press of a button (and for far less than it would cost if I was to head to a coffee shop). 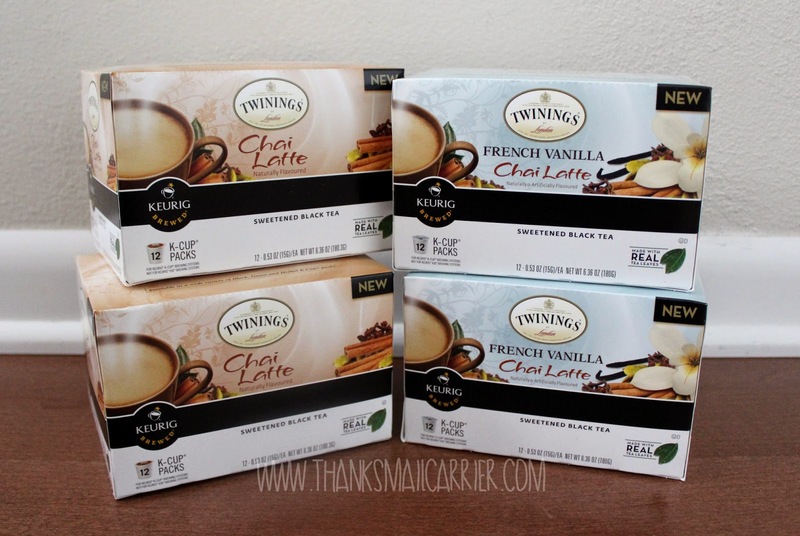 Which is why I was excited to hear that Cross Country Cafe had made that even easier and more delicious with the introduction of two new flavors by Twinings of London: Chai Latte and French Vanilla Chai Latte! Taking the steamed milk from a regular latte drink and mixing it with a spiced tea instead of the typical espresso, a Chai Latte ends up being the perfect mix of warmth, soothing, lightly spiced tastiness that tends to please both coffee and tea drinkers alike. 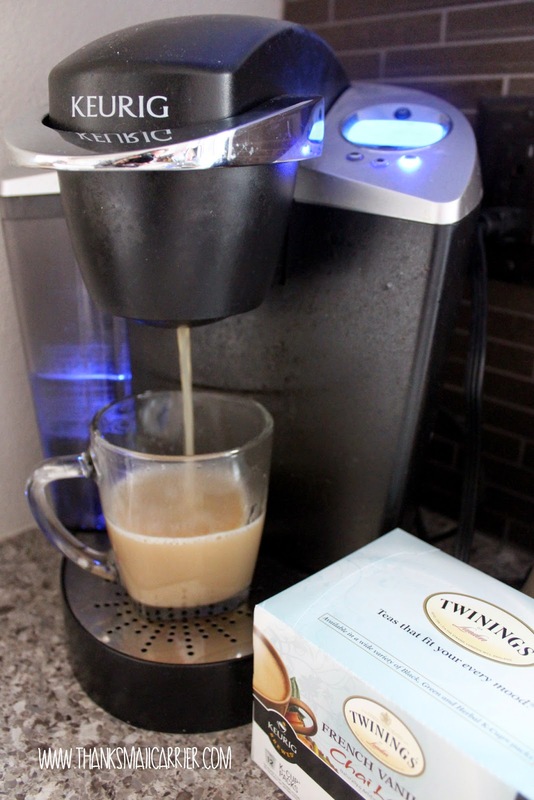 For me, Twinings is the quintessential pro at anything and everything that has to do with tea, so I couldn't wait to try out their Chai Latte varieties right at home! I'm a fan of just about everything with vanilla, so I opted to try the French Vanilla Chai Latte first and brewed it using the largest setting (as I do with 99% of all of my K-cups). In less than a minute, the amazing aroma of this drink filled the air and my mug was steaming with a mix of brown sugar, black tea, cinnamon, vanilla, cream, milk and more. The smell is truly divine! If you prefer a more bold, deep flavor to your Chai Latte, I would recommend using the medium size brew option on your Keurig... but for me, this was just right! 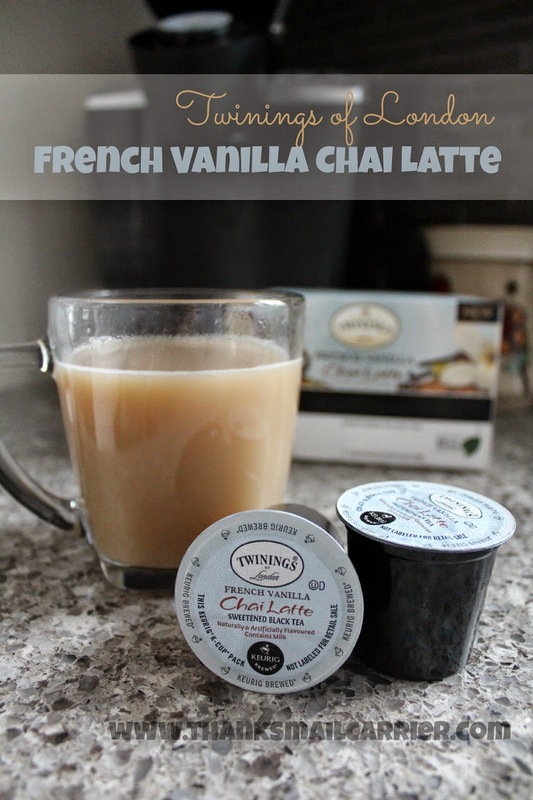 I am not a spice expert by any means, but I found that Twinings had clearly found just the right blend of all of the flavors in their French Vanilla Chai Latte. I could distinguish the cardamom and cloves from the cinnamon and the addition of the vanilla flavoring (which was not overpowering) added just enough sweetness. Yum! When I returned to give the traditional Chai Latte a try, I initially thought that I might not enjoy it as much without the vanilla, but was proven wrong from the first sip. I'm not sure that Twinings could have made their Chai Latte any better! Again the spices were blended just right so as none were too strong and again the addition of the milk and cream makes the whole thing creamy and smooth. Whereas I only drink my coffee in the mornings, I haven't found a time of day yet that Twinings' Chai and Vanilla Chai Lattes don't hit the spot! Added bonus? A single Chai Latte K-cup only contains 50 calories and a French Vanilla Chai Latte has only 60, so I don't at all feel guilty about indulging with either one! 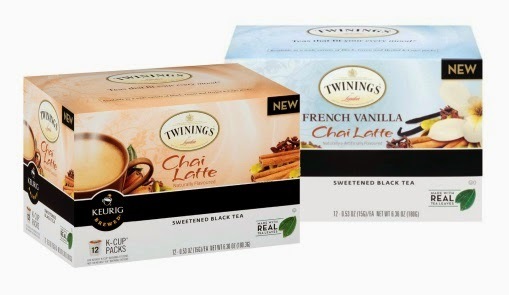 If you're a Chai Latte fan, you'll love that Twinings has made both of these delectable types available in K-cups for even easier brewing. Or, if you haven't tried these before but are a devoted Keurig user, head over to Cross Country Cafe to give them a try! Or maybe you'd rather WIN some instead? To celebrate the arrival of Twinings Chai and Vanilla Chai Latte K-cups, Cross Country Cafe is giving away four full size boxes of each to one lucky winner! Simply head over to their K-cup giveaway through January 31, 2015 and, with a few clicks, you'll be entered for a chance to have eight boxes of deliciousness on their way to you! Sounds decadent. The design of the box looks inviting also. I love this tea! 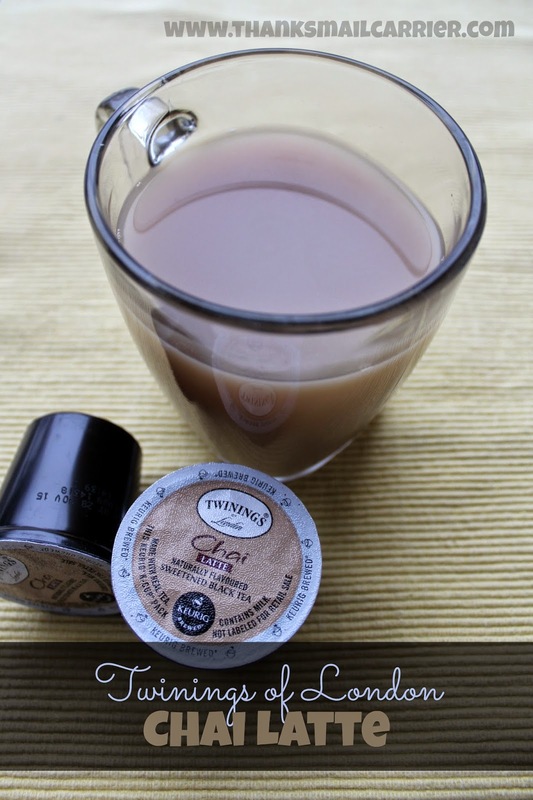 It tastes so good and so much better when made with a Keurig. I like the smooth taste and I like it very hot! I've been entering the giveaway at Cross Country Cafe, because I'm a tea drinker and I love Twinings. But I didn't know a lot about the specific teas. Thanks for your review. Now I *really* want to win! But I also think I might splurge on a box anyway. Generally, it seems to me that it's generally not cost-effective to buy tea in K-cups, but for a special tea drink like these lattes, I'd make an exception! I've always wanted to try this tea, but wasn't sure if I would like it. After your great review, I think I will try it. I love chai tea so I know I'd like these. No Keurig so have a contest so I can win one. It was a cold & snowy day here today so I think I need some hot chai tea. looks great... I love trying new things for my Keurig. I have chai tea almost every day. It's my evening brew.